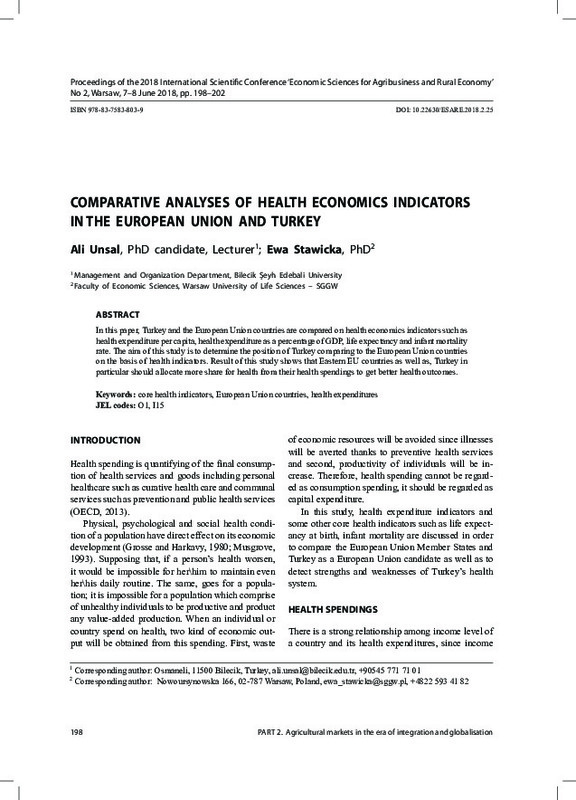 In this paper, Turkey and the European Union countries are compared on health economics indicators such as health expenditure per capita, health expenditure as a percentage of GDP, life expectancy and infant mortality rate. The aim of this study is to determine the position of Turkey comparing to the European Union countries on the basis of health indicators. Result of this study shows that Eastern EU countries as well as, Turkey in particular should allocate more share for health from their health spendings to get better health outcomes.